As of October 18th, we have a new feature: DL Farm! You can cultivate DL Farm once a day. 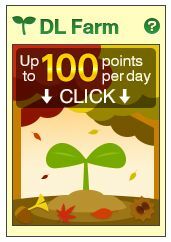 When a plant blooms successfully, you can earn up to 100 points. All DLsite.com members can participate for free.